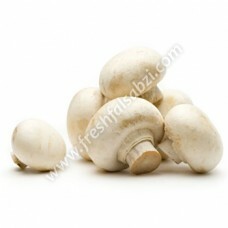 Button mushroom includes a mild flavor and a good texture. Mushrooms create vitamin D when in sunlight like humans. It is wealthy in Vitamin D, and B complex vitamins especially niacin, riboflavin & pantothenic acid. It is an excellent source of several minerals, especially selenium, potassium, copper & phosphorous. Benefits : A mushroom reduces inflammation in arterial cells and prevents white blood cells from sticking to arterial wall thereby preventing heart problems. It boosts the immune system by increasing the activity of natural killer cells which are the body defense against invading viruses & bacteria. These have been found effective at treating breast, colon and prostate cancers.